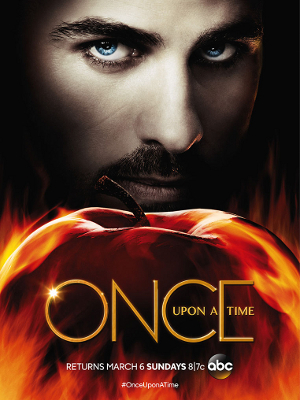 ABC’s Sunday prime time hit Once Upon A time has been a network staple for ABC since the show first premiered in September of 2011. Starring Jennifer Morrison (House), Ginnifer Goodwin (Big love), and Robert Carlyle (Stargate Universe) the series boasts an all star cast. Focused on the fairy tale lives of individuals in the fictional town of Storybrooke, Maine the series follows Emma Swan (Morrison) in her search for the truth about magic and her birth parents, played by real life couple Goodwin and Josh Dallas in their respective roles as Snow White and Prince Charming. The show is currently airing it’s 5th season and has just recently been renewed for a 6th season set to debut fall 2016. The casting call is currently seeking 4-7 actors to be featured in the 5th seasons back half of episodes. The show is currently focusing on a theme from Greek mythology and primarily takes place in “The Underworld”. Each actor will be featured in a variety of scenes that are in settings such as forest, bar/tavern scenes, docks, and an underground lair. Please be comfortable working in any/all different environment. Read on for casting call specifics. Female actors only are needed for the scenes that are going to be cast. **Male actors please check back often as casting call notices for different roles may be posted at another time. For the roles we are looking for females 12-45 that are height and weight proportionate and have experience working on large sets. Each actor will be on set 4-6 hours and be paid by skill and experience. Please also note that all actors should keep an open availability as you may be needed for a minimum of 3-9 days worth of filming. If you are interested in being a part of this casting call please submit the form below for possible consideration. You will be contacted within 3-6 days if we are interested.